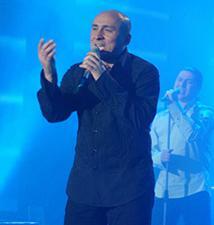 The Romanian Final was held on February 10th at the TVR TV Studios in Bucharest, hosted by 3 Sud-Est & Catalin Maruta. Before the final there were two semi-finals - click here for details: ROMANIAN SEMI-FINALS 2007 The winner was chosen by a mixture of televoting (50%) and an "expert" jury (50%). Rednex feat. Ro-Mania, Simplu & Andra and New Effect feat. Moni-K were all disqualified due to their songs having been broadcast before 01/10/2006. The composer of Simplu & Andra's song subsequently decided to withdraw his other song (Morandi & Wassabi) from the final. One of the members of the group Locomondo was Vlad Cretu who was a member of the group Supermarket who took part in the 2003 Romanian Semi-Finals and came 12th in the 2004 Romanian Final. 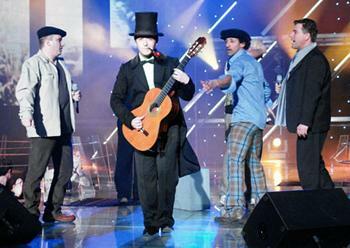 Locomondo renamed themselves to Todomondo for the ESC where they came 13th. Marcel Pavel represented Romania in ESC 2002.